For owner, Brandy Mutchler, starting a business of her own was something she never in a hundred years imagined herself doing. So much so, she recalls sitting in her Introduction to Business class and having the professor ask “how many of you want to own a business?” Everyone in the class raised their hands, except for her. After spending so much of her life watching her parents work endlessly and put all their energy into running their own businesses, she had long decided she never wanted to do the same. “I had grown up with my parents working nights, weekends, holidays; I mean, 365 days a year. You’re a small business owner, there are no vacations. No days off,” said Mutchler. Since owning her own business was not a career path she was ever looking to go down, she began working a front desk job after moving away from her hometown, Richland Center County in Wisconsin to the San Francisco Bay Area in California. Much to her delight, she began moving up in the dentistry field and soon moved out to North Carolina, as she continued to climb up the ladder. After about 14 years of hard work, she achieved the incredible accolade of Office Manager. As happy as she should have been, she felt very little joy about her achievement. Similar to what happens for so many, she had grown tired of her job. One night while at home, she began reading an article about a 40-year-old woman who had hated her job and decided to quit and go back to school. It was in that moment, she had an epiphany. After 15 years, she quit her job and went back to school with absolutely no idea of “what she wanted to be when she grew up.” She took an assortment of courses, trying to discover what she enjoyed the most. 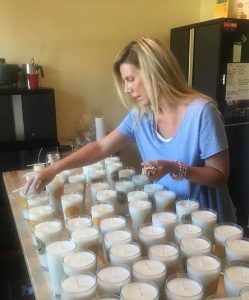 Throughout all of this, her Brandy’s Soy Candles business had already begun forming, slowly and subtly in the background of her life. Very early on in her dentistry career, she had begun making candles as a hobby. She remembers thinking to herself one day “I spend so much money on candles. Why not just make them myself?” She learned very quickly, it was even more expensive to make them herself. It was a good start, but the process of using the wine bottles proved to be too long and strenuous, taking about two hours to make only one candle. Right away, she knew she needed to find something different to pour her candles in. With no hesitation, she took them home, poured the candles in, and then brought them back to the brewery. Within a week, the bar manager called her and told her the candles had already sold out, asking if she would make more. While dropping off some more candles, she sees a man sitting at the bar, purchasing one of her candles. Shocked by the event unfolding before her eyes, she tells the man “I have never seen one of my own customers before. I just want to say thank you so much for buying one of my candles. That’s amazing.” The man asks Mutchler if she has ever considered going into another local brewery. After receiving a yes, the man introduces himself as the owner of Draft Line Brewing Company. He offers her a case of pint glasses, asking if she would be willing to do 24 candles for him. Of course, she gives him an immediate yes. From there, her business suddenly exploded. 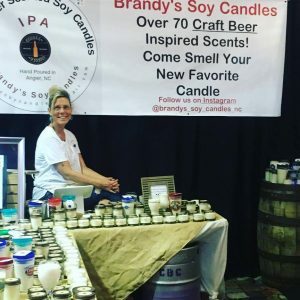 Within just a year, Brandy’s Soy Candles could be found in about 30 breweries. 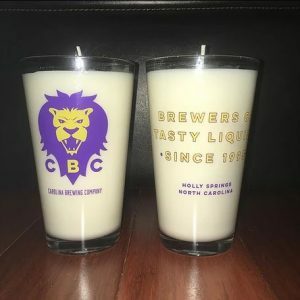 Now you may be wondering, why did her candles do so well in breweries? 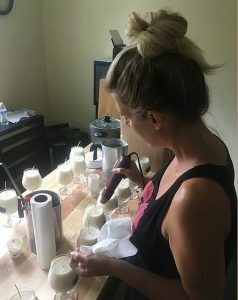 Mutchler’s unique candles are made out of American-grown soybeans and essential oils, with scents inspired by craft beers from all around the world. In fact, all but five of her available candle scents are based on real craft beer. Seeing that there was a market that needed to be reached, she was determined to create a brand of candles that men would buy, as more than just a ‘gag’ gift. Just as importantly, she wanted to create a safe, non-toxic candle that would not release any potentially harmful chemicals, like the ones found in paraffin candles. This is a huge part of what she believes makes her business unique. 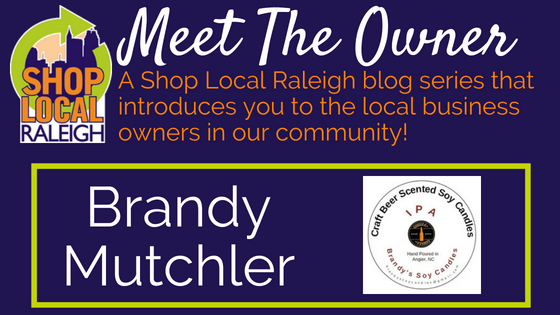 As Brandy’s Soy Candles has continued to grow, Mutchler has chosen to branch away from breweries. After her first year, she raised her prices and started to move to retail locations. She frequently participates in pop-up events, festivals, and any other opportunity that allows for her to get her product out to the public. 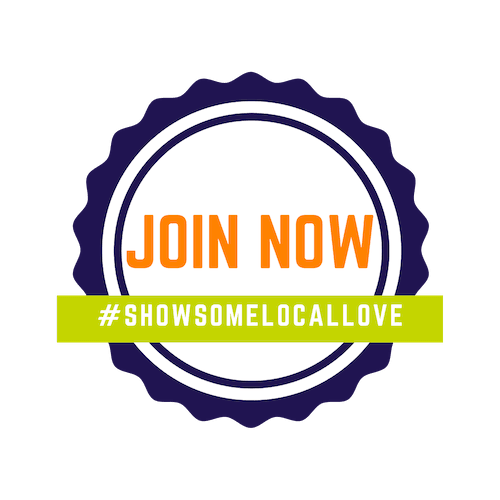 In her business, she finds word-of-mouth to be her absolute best form of marketing. Just recently, she received a wholesale order with the Renaissance hotel in North Hills because they have decided to start carrying local items in their gift shop. “You know what? I really think that’s an untapped market,” said Mutchler. She has also expanded from pouring her candles into only pint glasses to using different size jars, wine glasses, martini glasses, and more. And if you’re not as keen about having an open flame in your home, don’t worry. She also offers wax cubes! 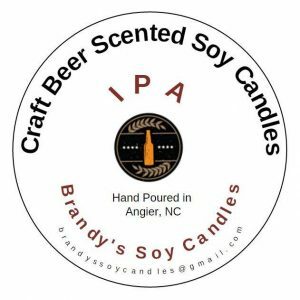 For more information about Brandy’s Soy Candles or where you can find her next, click here.